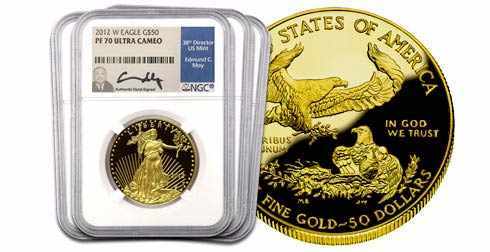 The Classic Gold American Eagle Date Run includes one of each of every denomination of Gold Eagle minted from 1986 to 1991 – a total of 19 coins and 8.65 ounces of pure gold. 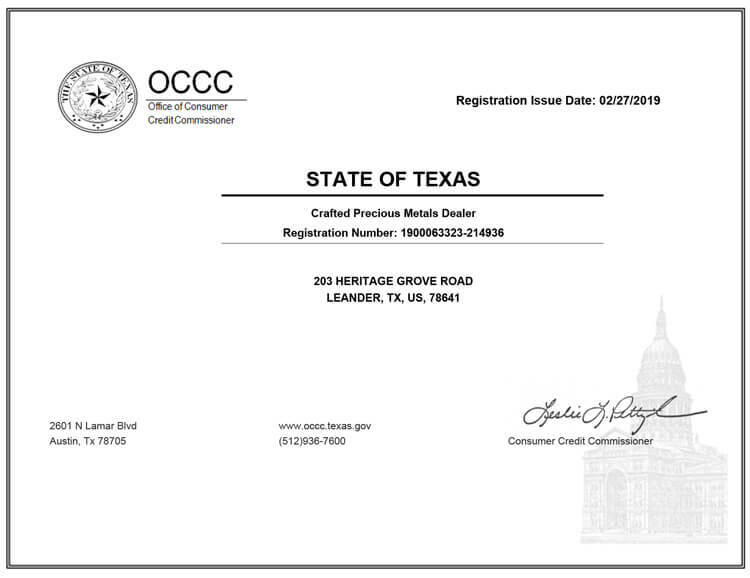 Every coin is graded by NGC in Proof 70 Ultra Cameo condition -- the highest grade available. 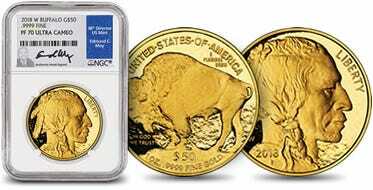 The coins of the Classic Group (spanning from 1986 to 1991) have seen exceptional investment performance, with yearly price increases up to 41% over the last several years, far above average returns in the stock market or even the gold bullion market. 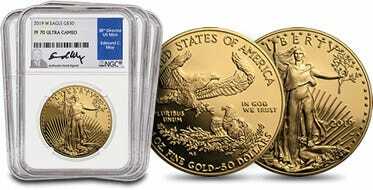 The date run also includes a free NGC Slab Box that protects and stores the 20 NGC coin slabs. Box is made of durable plastic with pre-formed slots to separate the slabs.